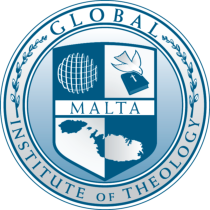 Global University (GU) is a fully accredited nonprofit Christian University, in the Pentecostal tradition, based out of Springfield, Missouri. As a worldwide online and distance education pioneer, the university integrates education and service through a network in 180 countries, including the United States. GU's presence in so many countries gives students all over the world and at all ages the opportunity to study anywhere at any time in their own space. Global University is a pioneer in distance learning education. Adult workers have found that this type of delivery provides them the opportunity to further their Christian education while keeping their employment. Its three main languages of instruction are English, Spanish and French for undergraduate programs. Learning materials have been translated into several other languages and dialects as well. The University gives the opportunity to students to study Bible and theology courses at several academic levels even in different stages of life: from early childhood (3-6 years) up to late adulthood. Consequently, the forte of GU is to provide education for life-long learning seekers. Accordingly, GU offers studies for Sunday Schools from kinder to grade 6 up to doctoral degrees.